After weeks on Overwatch’s public test realm, Blizzard’s big Mercy nerf has gone live. 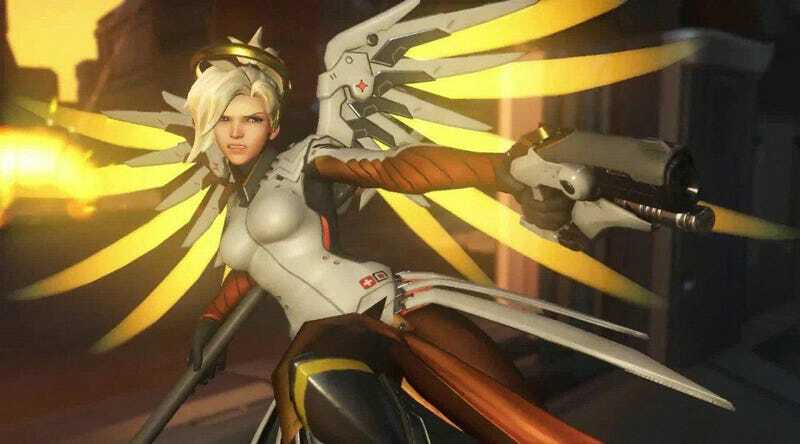 The controversial set of changes centers around the effect Mercy’s ult, Valkyrie, had on her resurrect ability. Previously, Valkyrie took away resurrect’s cast time. Now it doesn’t. It also granted a bonus resurrect. It doesn’t do that anymore either. In addition, the speed boost Guardian Angel gets from Valkyrie has been dropped by 50 percent, and Valkyrie now only lasts 15 seconds instead of 20. The Overwatch team explained that while they’ve already nerfed Mercy some, they felt that her ult still made her too powerful.